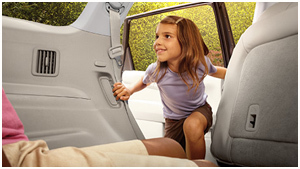 The spacious 2nd-row moves forward and backward up to 5½ inches for excellent access to the 3rd-row. Speaking of the 3rd-row, Pathfinder offers reclining seats back there, and they're big enough to comfortably seat two full-sized adults. No other SUV in this class gives you the choice of 2WD, 4WD, and Auto Modes. 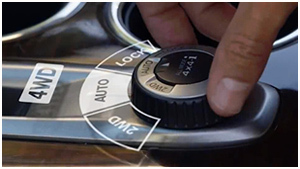 Turn the All-Mode 4x4i Dial, located just behind the gearshift, to lock into 4WD on rough terrain and in varying weather. Turn it again to switch into 2WD for better mileage. What kind of transmission do you put in the Next Gen SUV? 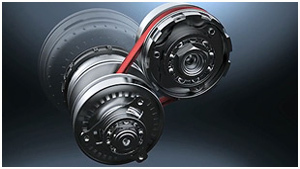 The next-generation Xtronic Continuously Variable Transmission (CVT), obviously. 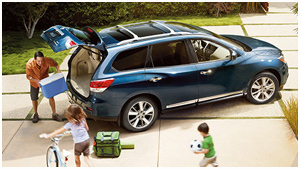 Fill it up with seven passengers, and the Pathfinder still has room for up to 453 L (16 cu. ft.) of cargo. Drop the 3rd-row and you've got more than 1354 L (47 cu. ft.), or drop both the 2nd- and 3rd rows and you've got a virtually flat space with 2260 L (79.8 cu. ft.) of cargo for your seriously big loads. 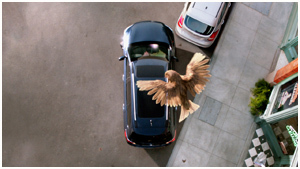 Using four cameras, the available class-exclusive Around View® Monitor (AVM) creates a composite image of the 2016 Pathfinder from above and displays it on the touch-screen monitor. This helps visually confirm the vehicle's position relative to the lines around parking spaces and adjacent objects, allowing the driver to manoeuver into parking spots with more ease. Keep your focus on what matters most-driving. 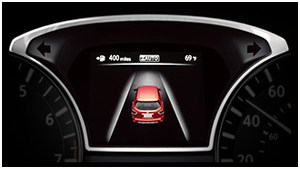 Advanced Drive Assist™ Display is a 107 mm (4.2-inch) colour monitor sitting right in front of you in the gauge cluster. The customizable, easy-to-read screen displays front and rear power ratios, the trip computer, tire pressure, fuel economy, external temperature, and much more. Leather-appointed seats are not a lot of fun on a hot day, and not much better on a cold one. 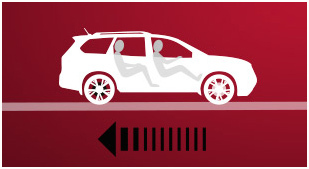 Pathfinder's seats with available climate-control functions save you from stickiness by cooling down when it's hot out, and warming up when it's cold. Old Man Winter never saw this one coming. 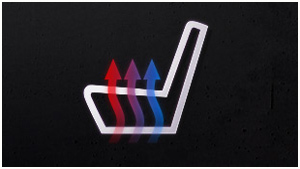 Keep those mitts toasty even on the coldest days with an available heated steering wheel that warms up at the touch of a button. 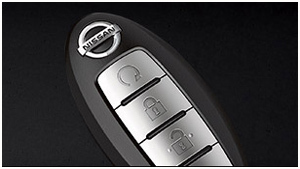 With the available Nissan Intelligent Key®, you can unlock all four doors, open the power liftgate, and start the engine without taking the keys out of your pocket. It's even smart enough to move the driver's seat, steering wheel, and side-view mirrors to your pre-set positions. 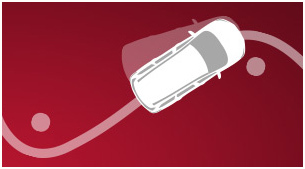 If you need to slam on the brakes, Assist detects how hard you're braking, and if it senses you are in an emergency, it helps to apply maximum braking force. 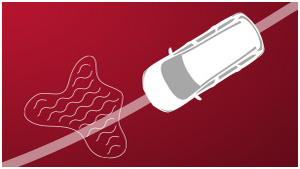 The EBD system is designed to send extra force to the rear brakes when there's extra weight in the back. The standard TCS means you won't be wasting power just spinning the tires. 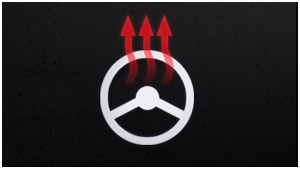 When it senses drive-wheel spin, it responds by reducing throttle or applying brake pressure to specific wheels.